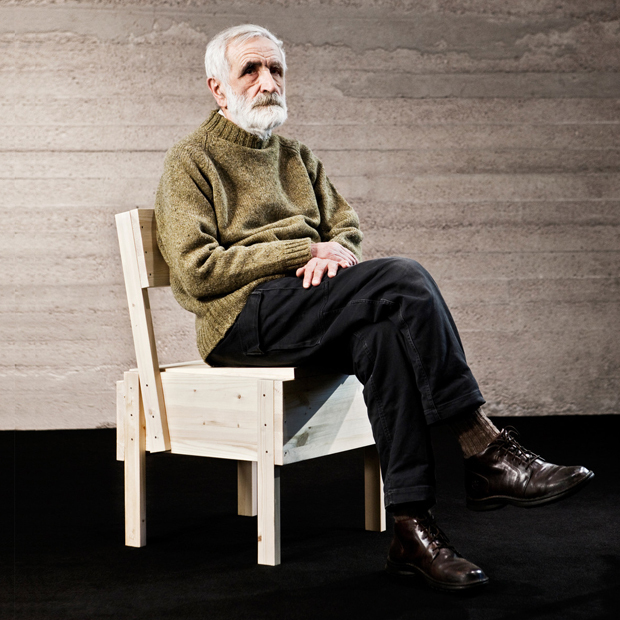 I’m sure you’ve seen this imagery of Enzo Mari before and his Sedia 1 chair but I couldn’t help but pull it up on my own terms and explain a bit about why I like it. Recently I’ve dived back into my “Super Normal” book by Jasper Morrison and Naoto Fukasawa which has inspired me heavily to go routing around more. For some reason after reading an interview with Jasper I wanted to revisit Enzo’s works and see if there were any new releases on the cards. Morrison mentions in his last question in the interview that when Enzo Mari tests products for exhibitions or events he demands that a product be at least 45 years old to be able to truly judge its quality. I thought this was fascinating so I decided to explore a bit more and I came back across a video that I watched nearly a year ago produced by Artek featuring Enzo himself. This Sedia 1 chair is genius if you ask me and is a chair kit which was designed back in 1974 but has now been re-introduced thanks to Artek. It was initially designed for his Autoprogettazione project, a collection of furniture that consisted of simple and affordable materials in the 70’s. 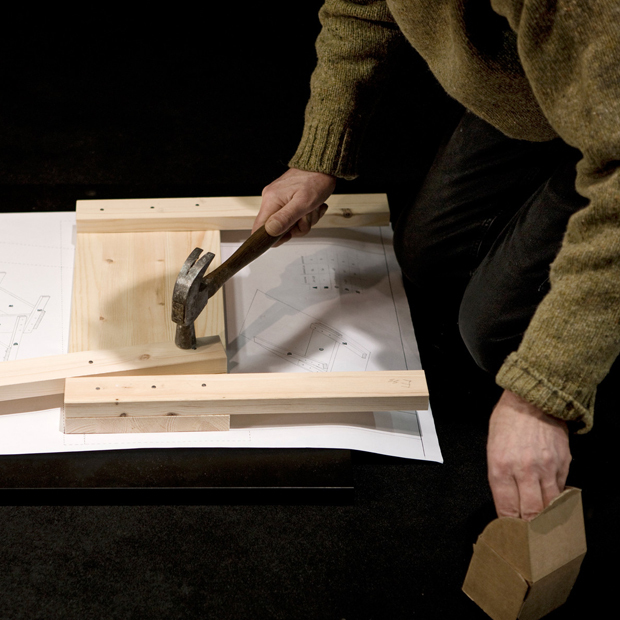 The package includes a set of cut boards of untreated pinewood, nails and assembly instructions, which then has to be put together by the owner. Only a hammer is necessary. 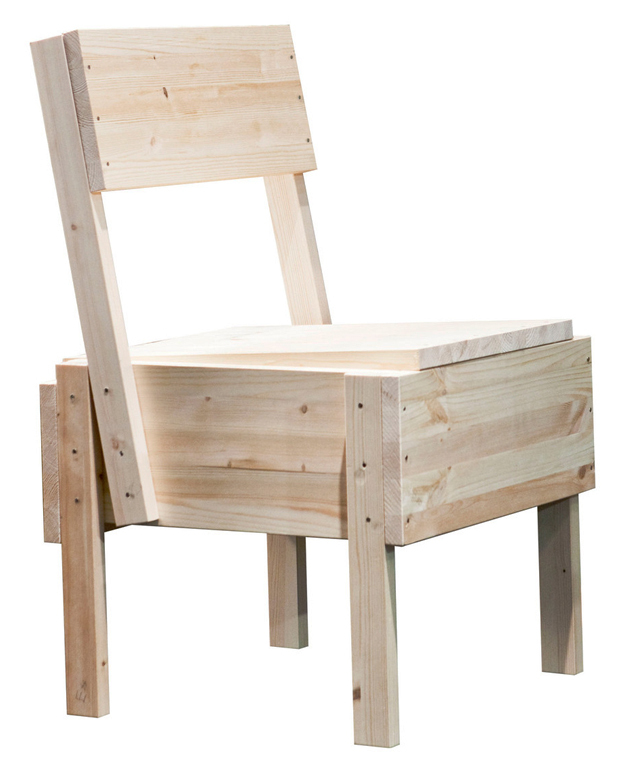 I thought it was fascinating to hear Enzo speak about the chair and how his fellow designers thought it was a ludicrous idea. Shouting down his project and saying that design is meant to make it easier for the user not harder. 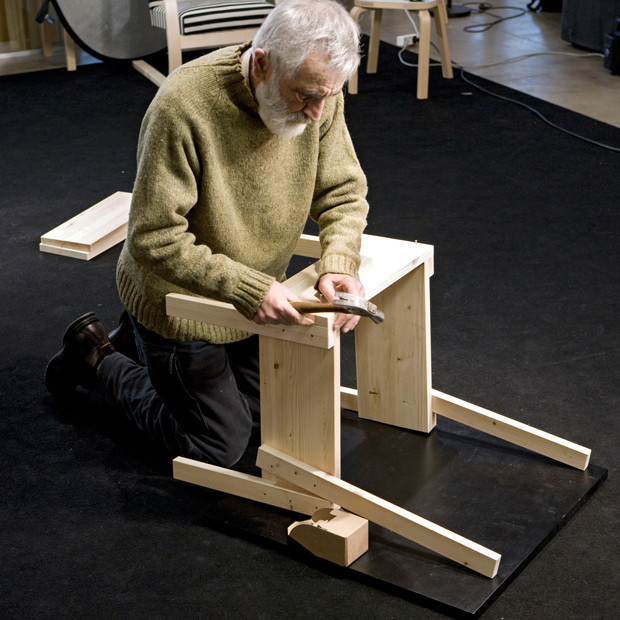 In fact I think this is a great little piece of furniture and really gets the user intertwined with the object itself, you get real physical interaction with it and a great human connection through making. Also what’s impressive is that this literally summarises Enzo Mari’s design philosophy in one e, “Design is only design if it communicates knowledge”. This is so true and couldn’t be more valid at this moment in time in my opinion. Below are a selection of shots of Enzo, the top portrait is absolutely fantastic and he looks very dapper. 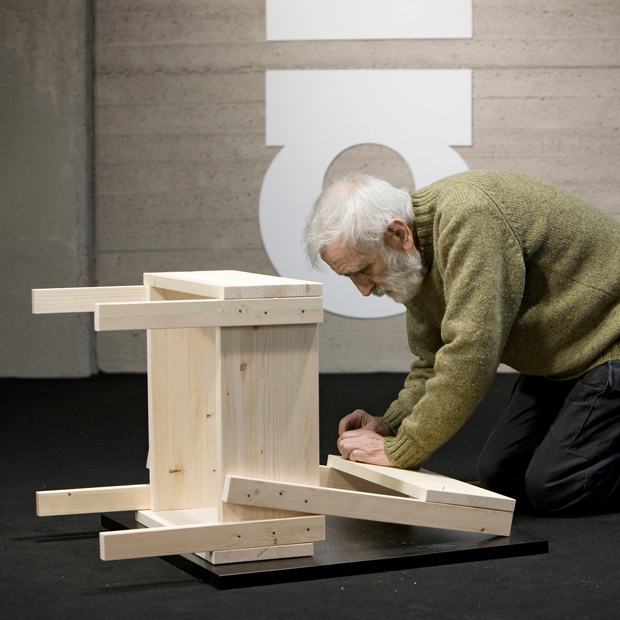 The great master of Italian design also explains the idea and the concept behind the chair in a video over on Vimeo, definitely worth a watch if you have ten minutes to spare. I’ve shared it before but it’s good enough to re-visit again! I hope you enjoy and have a great day.